CCHC Chair Elizabeth McCutcheon accepts the 2010 Distinguished Service Award from the Texas Historical Commission. 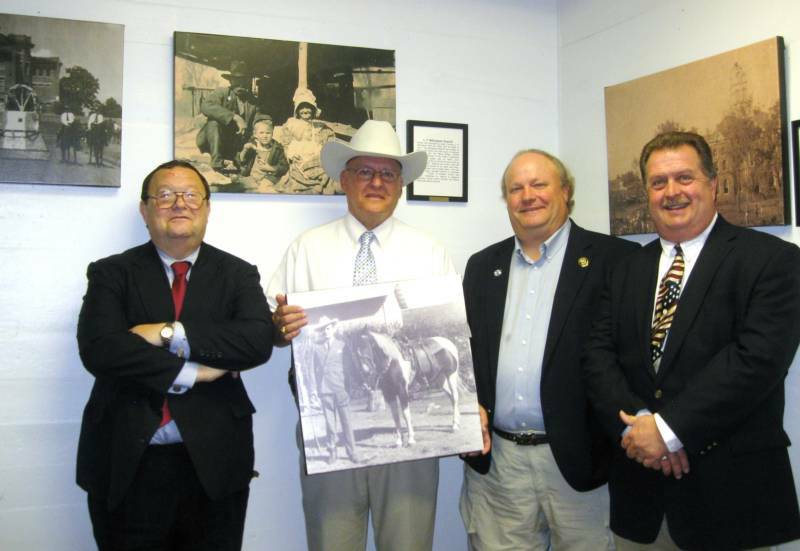 The Cherokee County Historical Commission once again was recognized by the state for their worthy historical projects. 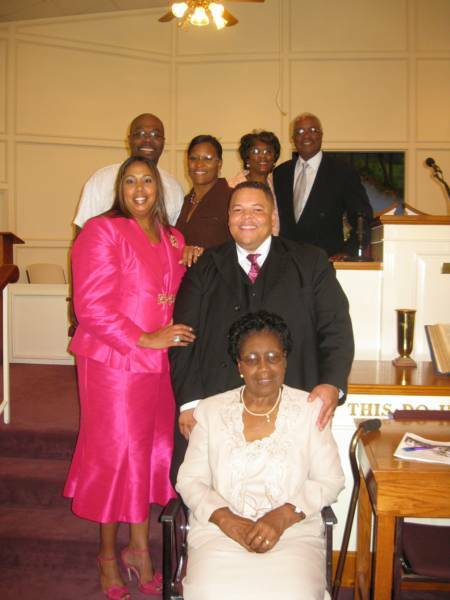 Left to right, Shelley Cleaver, Dr. Richard Hackney, Mavis Wallace, 'Butch' Holcomb, Dr. Deborah Burkett, Willie Harold Acker, Terry Guinn, Elizabeth McCutcheon and Judge Chris Davis. 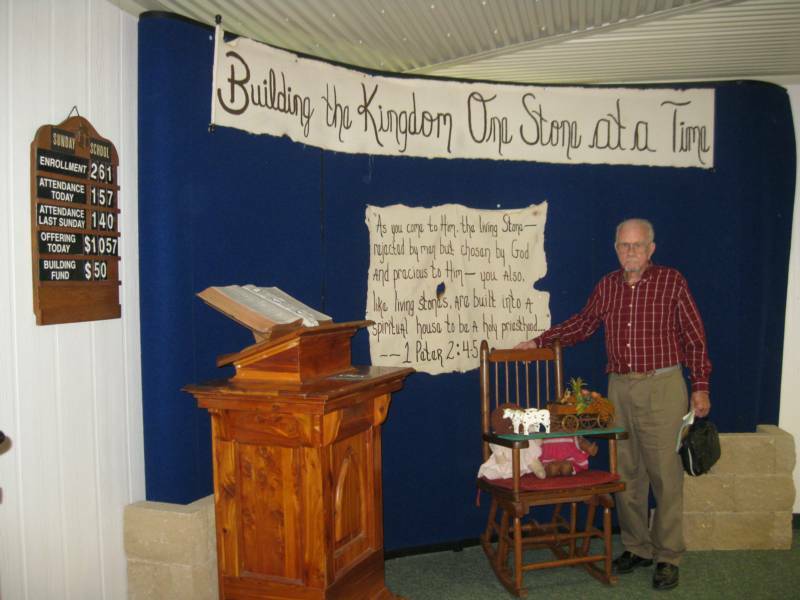 Corinth Missionary Baptist Church, near Bullard, Texas celebrated 147 years! On June 12, 2011, Corinth Pastor John D. Johnson III welcomed guests, friends and representatives from churches throughout Smith and Cherokee Counties. The Corinth Choir sang and praised God for his many and continued blessings. Tyler Pastor Derry Hinton of God’s Way Baptist Church provided the 3 o’clock message. Seated and in front is the oldest active member. CCHC member Dr. Richard Hackney and wife Teresa are on right in back row. 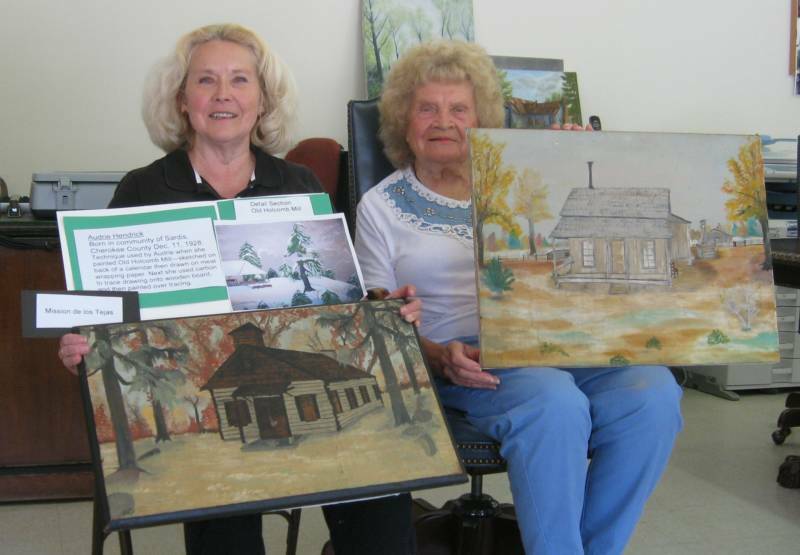 Thanks to artist Audrie Hendrick for loaning several of her paintings for the CCHC window display.On the left below is member Deborah Burkett who spear headed the 'Artists in Cherokee County' Project. Rusk resident, Mary Goff turns 100!Alife lived 100 years can't be truly appreciated without first putting that life in historical context. Mary Ellen Bailey (Goff) was born February 17, 1912, the same year the sinking of the RMS Titanic occurred and two years before the start of World War One. A birthday party was held at the Rusk First Baptist Church and everyone who attended felt blessed to be there. 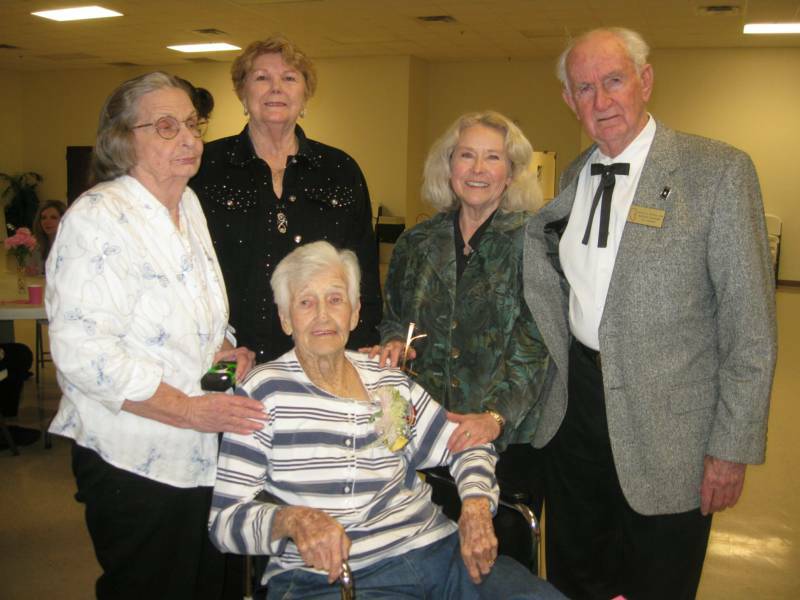 Seen above left to right with Mary are members of the Cherokee County Historical Commission: Mavis Wallace, ‘Butch’ G. Holcomb, Deborah Burkett and Shelley Cleaver. (not pictured is Elizabeth McCutcheon). 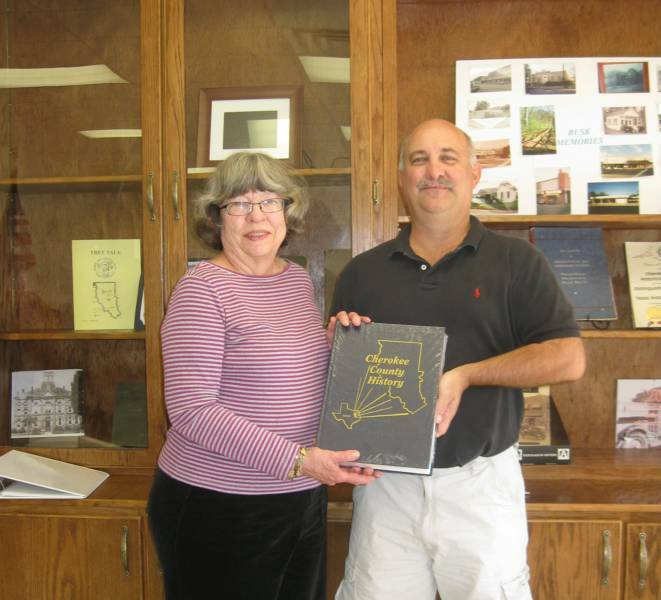 Descendants of Jacksonville Founder Visit Historical Commission Office--Sarah M. Kathan and her son, Kenneth Kathan from Anahuac, Texas. He is a decendant of Jackson Smith. 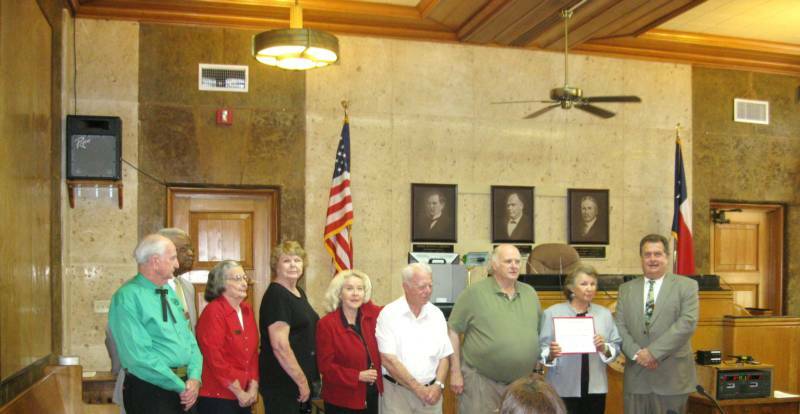 Chair Elizabeth McCutcheon has submitted the Annual Report and once again due to the hard work of each CCHC member the Texas Historical Commission has recognized Cherokee County! Below are two photos taken in the courthouse, one for the 2010 award and the other for the 2011 award. 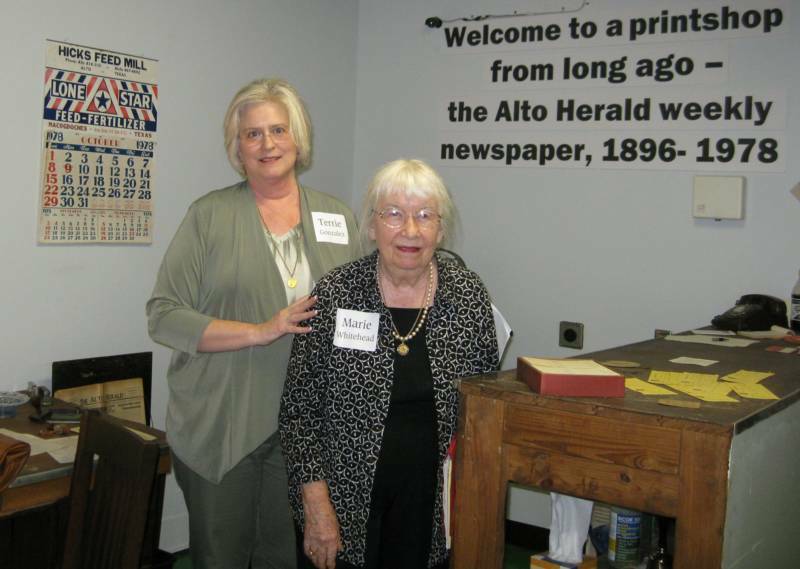 Congrats to the Whitehead and Gonzales families for preserving the Alto Herald!For more on this story link to the Cherokeean and to the Stephen F. Austin's local authors website--New Home for Old Alto Herald. 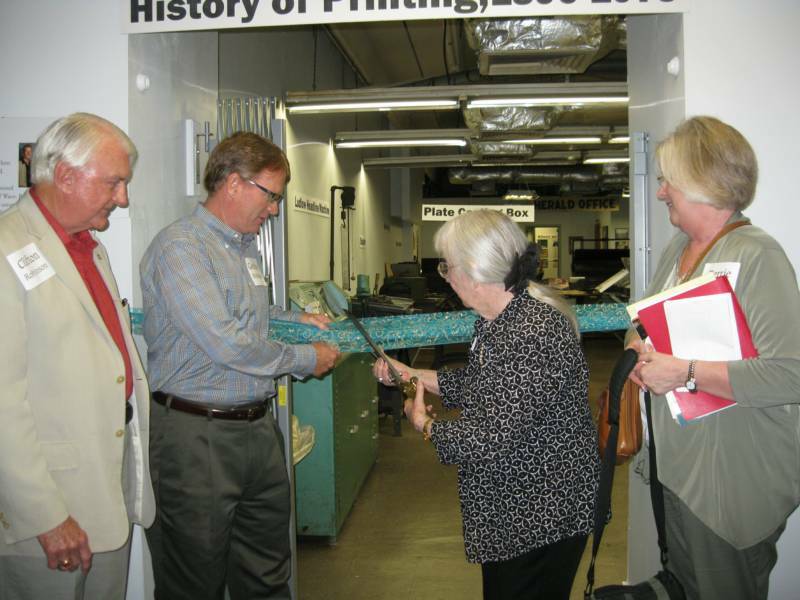 Marie Whitehead cuts the ribbon, daughter Terri on the right looks on. 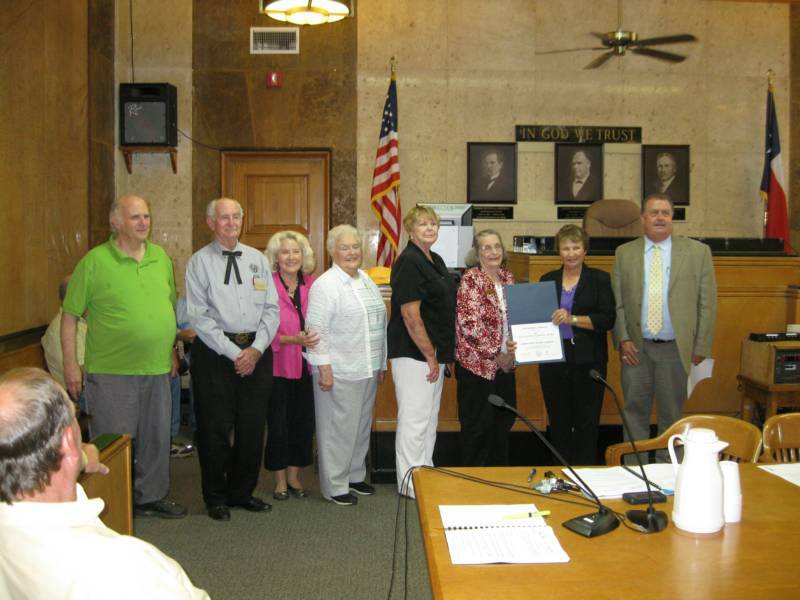 CCHC members gather at the Cherokee County Courthouse to accept the award from County Judge Chris Davis, seen on right. Left to right are: 30 year member Terry Guinn (former Chair), Vice Chair Shelley Cleaver, Deborah Burkett (Committee Chair of Historic Photos and Archives) Mary Taylor (Committee Chair of Oral History), Butch Holcomb and Mavis Wallace. Chair Elizabeth McCutcheon is holding the award. 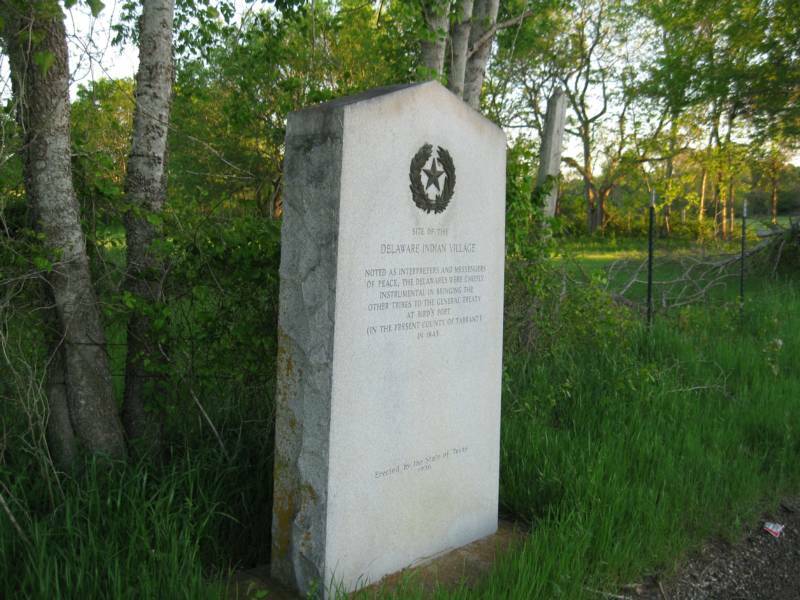 See the other sections of our Website for more information on historical markers and other activities. The November 17 event seemed to have it all. Video recorded memories, yearbooks from 1915 to 2012, exhibits of photographs and memorabilia displayed throughout the First United Methodist Church, Jacksonville.There was a delicious buffet in Waller Hall, historic paintings and the Lon Morris College Dixie Land Band providing a happy beat for the jubilant attendees – who numbered over 150. ​Special guest speakers were: Senator Robert Nichols, Former LMC President Dr. Faulk Landrum, Windol Cook and County Judge Chris Davis. First United Methodist Church (FUMC) Mission Committee, GO TEAM catered the event, Bill Willeford and Jerry Halpain, Co-Chairs. FMUC Personnel: May Lou Meyers, Archives, Ann Culotta, Secretary and Al Chavira, Facilities Manager. Picture This, Creative Graphics and the Vanishing Texana Museum, former President of the Board Sam Hopkins, curator Larry Lydick and Janie Barber, Jacksonville Art Council. So grateful for Ron and Ruth Loper’s unexpected donation of a stained glass piece that once graced the entrance to the Twin Towers building. More on this in a future article! Jack Webb, CEO of 11 x 17, of Texas Ruby Properties and owner of many of the buildings formerly known as LMC. His donation of LMC items to the Cherokee County Historical Commission were made in memory of his mother, Ruby Pauline.And to all those who kindly consented to video interviews and shared written memories, we want to assure you this information has been archived. The Lon Morris Remembered 2018 Project continues. Our goal is to collect and preserved more college memories through video interviews, scanned photos and documents, all of which will be placed on DVDs and made available to the public sometime in 2019. In addition, a book about Lon Morris is being planned. Members of the committee are: Faulk Landrum, Barbara Hugghins, Deborah Burkett and May Lou Myers. To participate in this preservation effort, call Barbara Hugghins at 903-586-2494 or email Deborah Burkett at debbietroup7@yahoo.com. September 2013 and Mary Goff is still with us!!! Exhibit and Program, Nov. 17, 2018, was a huge success! Thanks to everyone who participated!The Rev. Barbara Hugghins and Dr. Deborah Burkett want to extend their appreciation to everyone who helped with the event! Here's to a productive 2019! Congratulations Nadine Locke, new Chairman of the Cherokee County Historical Commission. Special thanks to outgoing chair, Dr. Richard Hackney for a job well done!